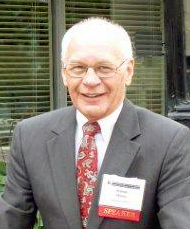 » 1975 to Present Consultant Poultry Veterinarian; Concentration on enhancing profitability through services, including diagnostic and preventive medicine, food safety, planning, analysis and implementation of projects in the U.S.A., Africa, Europe, and Middle East, evaluation of pharmaceutical and biological products, expert testimony and promotional seminars. » 1979 to 2001 Professor of Avian Medicine; School of Veterinary Medicine, Louisiana State University. Responsible for instruction, research, and service relating to the health, nutrition and management of commercial poultry; epidemiology and food safety. » 1969 to 1974 Executive Director, Rainbow Chicken Farms, South Africa. Successively Veterinarian, Director, Livebird Production and Executive Member of Board of Holding Company and Subsidiaries. » Line manager responsible for planning, implementing and controlling live-bird production in an integrated broiler company, involving control of personnel, assets, and operating budgets consistent with an annual production level of 30 million birds. » Professional consultant in agribusiness involving the interaction of economics, disease control, nutrition and management with specific application to broiler and commercial egg industries. Implementation of diagnostic procedures under laboratory and field conditions. United States, Latin America, Southern Africa, Middle East and Europe. » Feed formulation and implementation of ingredient acquisition and quality control programs. Investigation of the nutritional requirements of commercial chickens with an emphasis on mineral metabolism and interaction between diet and disease. » Application of current knowledge of diagnosis and treatment of infections and implementation of preventive measures including biosecurity and immunizations of breeders, broilers and commercial layers. » Site investigations and preparation of technical and financial feasibility studies for poultry projects, including evaluation of candidates for acquisition. » Planning and presentation of educational programs and instructional seminars. Compilation and editing of technical manuals. » Research conducted on biosecurity and epidemiology of food-borne diseases. Diagnosis and control of campylobacteriosis, salmonellosis, and coccidiosis; food safety and irradiation of poultry products. » Design and implementation of programs to promote flock welfare. Field audits of integrations to ensure compliance with standards established by multinational institutional and food service clients.